While most people know fish are a rich source of Omega 3 (DHA and EPA), many don’t know that the fish actual get these essential fatty acids from the marine microalgae they eat in their natural environment. 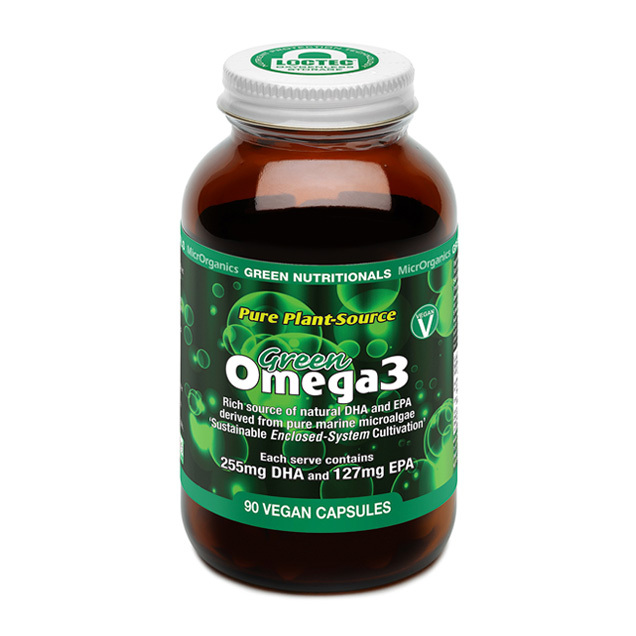 So GreenOMEGA 3 has by-passed the fish and gone straight to the source to get these essential Omega 3 fatty acids DHA and EPA from the very same organic marine microalgae (Schizochytrium sp.) the fish get them from. The benefits of a diet rich in Omega 3 (DHA and EPA) are well known to include heart, brain and eye health. We don’t need to kill fish for Omega 3 essential fatty acids! Omega 3 fatty acids DHA and EPA are essential for humans – this means our bodies don’t make them – we have to get them from the food we eat. We can get Omega3 from eating fish but not easily in the quantities we need, hence the need for fish oil supplements. But now there is no need to harvest the fish for their oil because we can get our DHA and EPA from the same marine microalgae the fish do. 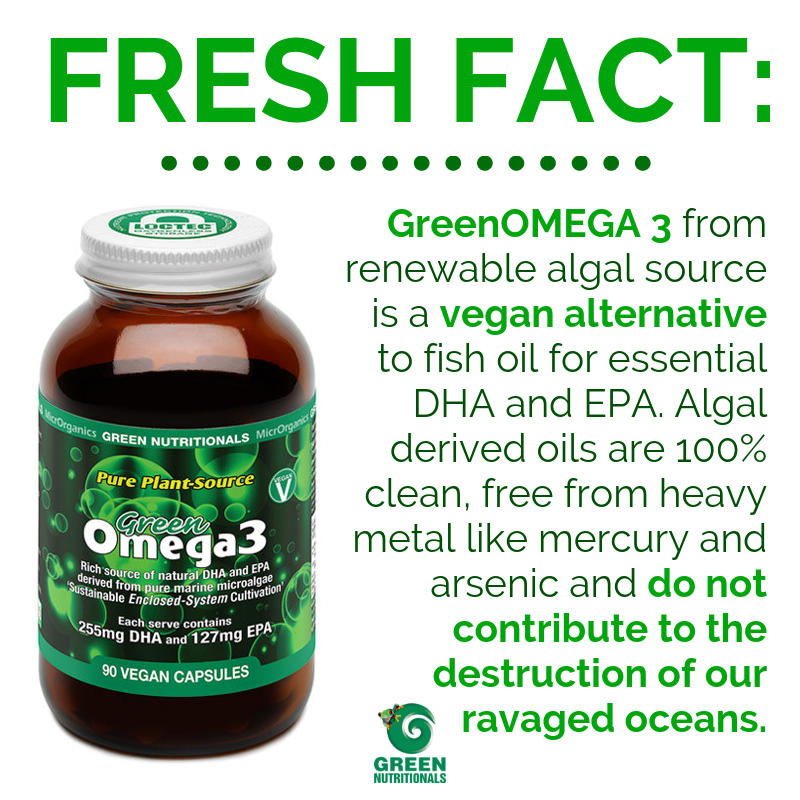 GreenOMEGA 3 from renewable algal source is a vegan alternative to fish oil for essential DHA and EPA. Algal derived oils are 100% clean, free from heavy metal like mercury and arsenic and do not contribute to the destruction of our ravaged oceans. Choose GreenOMEGA 3 as your daily source of DHA and EPA … and save the fish!